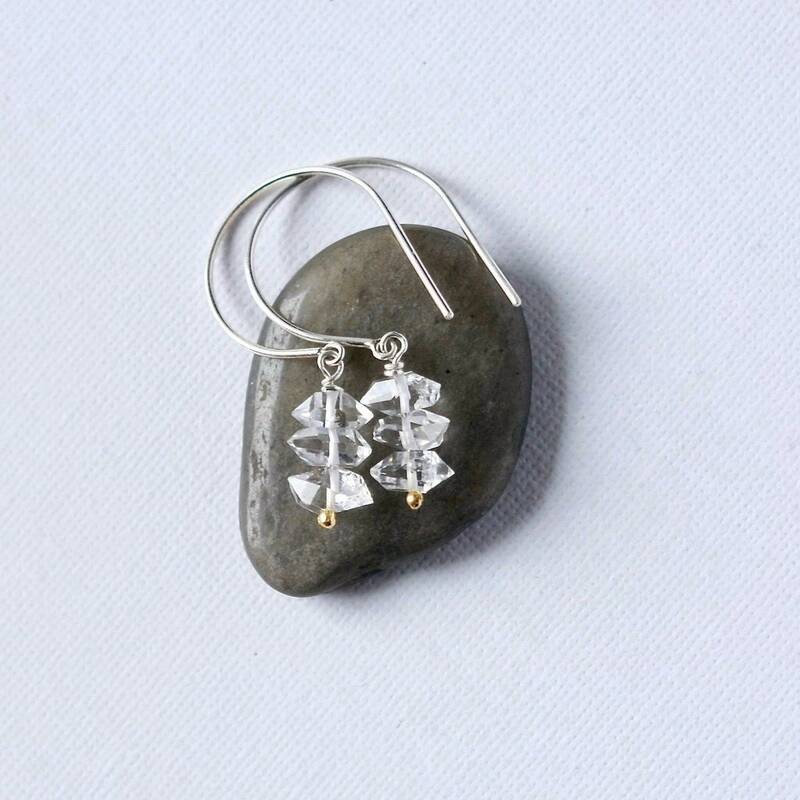 I just love the sparkle on these! 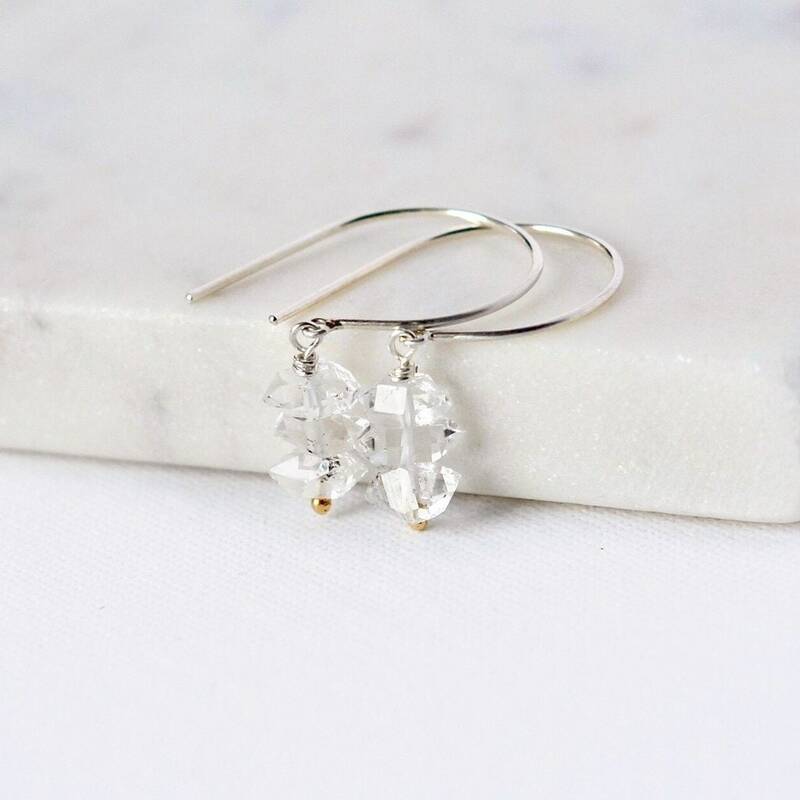 The earrings feature excellent quality Herkimer diamonds (not real diamonds but double-terminated quartz) wire-wrapped in sterling and gold vermeil wire on to elegant round sterling silver ear hooks. 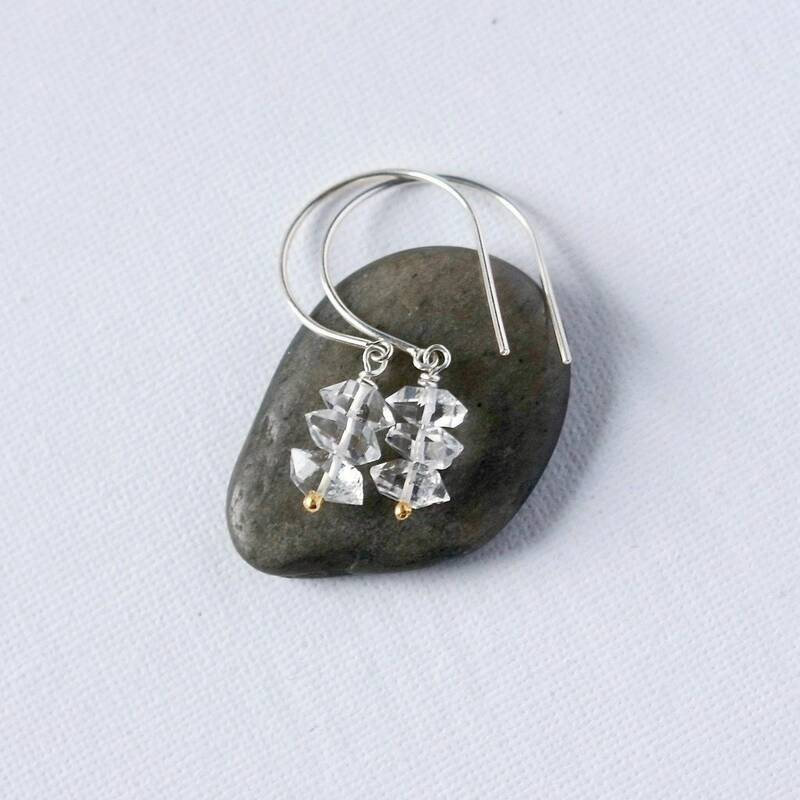 The earrings are very comfortable to wear and hang about 1.5 inches from the top of the ear hooks. 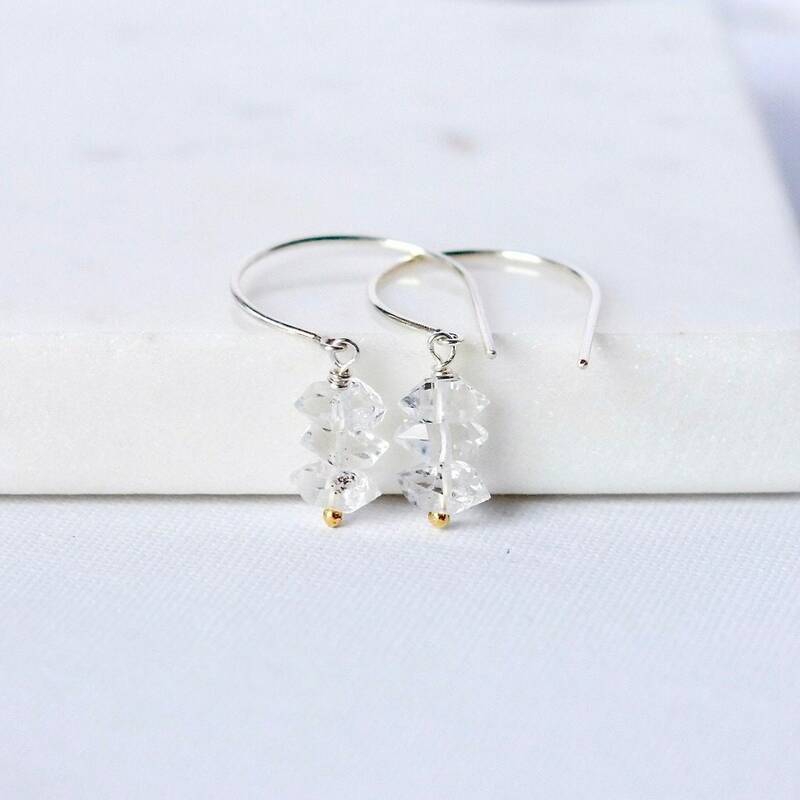 They have gorgeous shine as they move and catch the light - a beautiful accessory when you need a touch of glam. 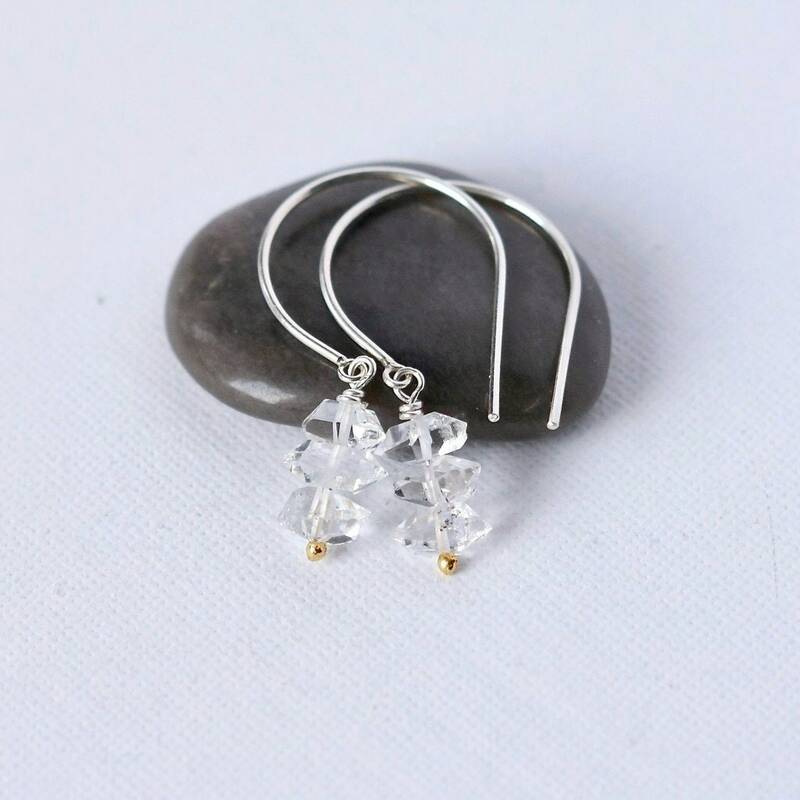 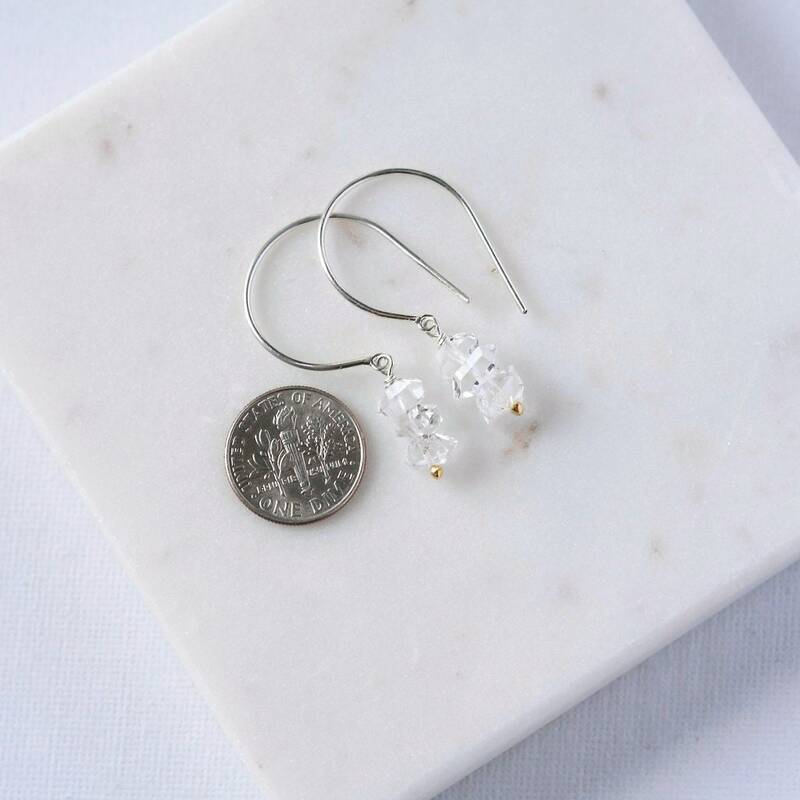 These would make lovely bridal earrings with their simple stylish design and clear shimmer.